Adam Beyer’s Drumcode imprint welcomes wAFF to its roster with three thudding techno tracks. 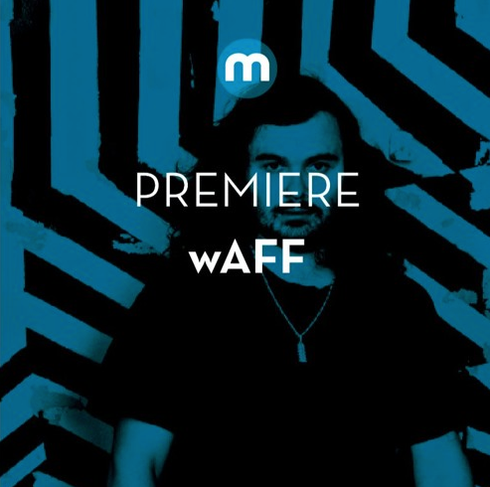 British producer wAFF has been making waves in recent years, reflecting on a diligent 2015 spent playing across the likes of Europe, Africa, Asia and the States, when not making routine appearances at Paradise, Ibiza. As a producer he’s dropped several releases on Jamie Jones’ Hot Creations imprint, not to mention Matthias Tanzmann’s Moon Harbour and Sven Väth’s Cocoon, with his next outing landing on Swedish label Drumcode run by Adam Beyer. Laying down hard hitting kicks from the off, ‘Holographic’ churns out an undulating synth combined with shuffling hats and a cavernous low-end, before ‘VibrationZ’ employs a low-slung groove fashioned from a sultry bassline, floating chords and sinister vocal. Tying it together, ‘Syncronistic’ is on a more heads down tip with whirring atmospherics, crunchy snares and subtle 303 squelches for a lengthy and mesmerising piece of production. It’s out today, check out the track on Mixmag’s sound cloud.